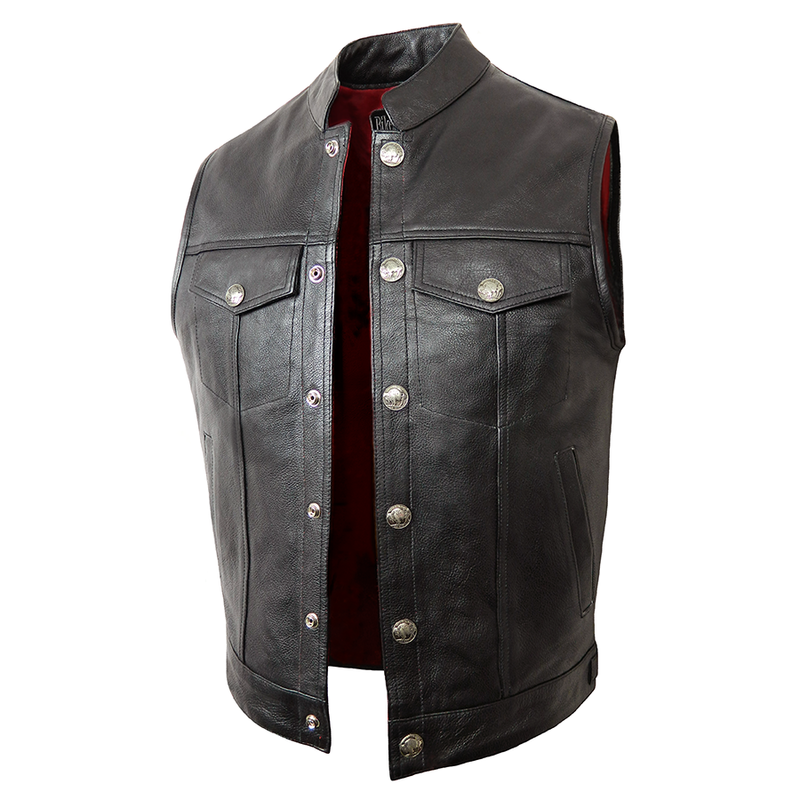 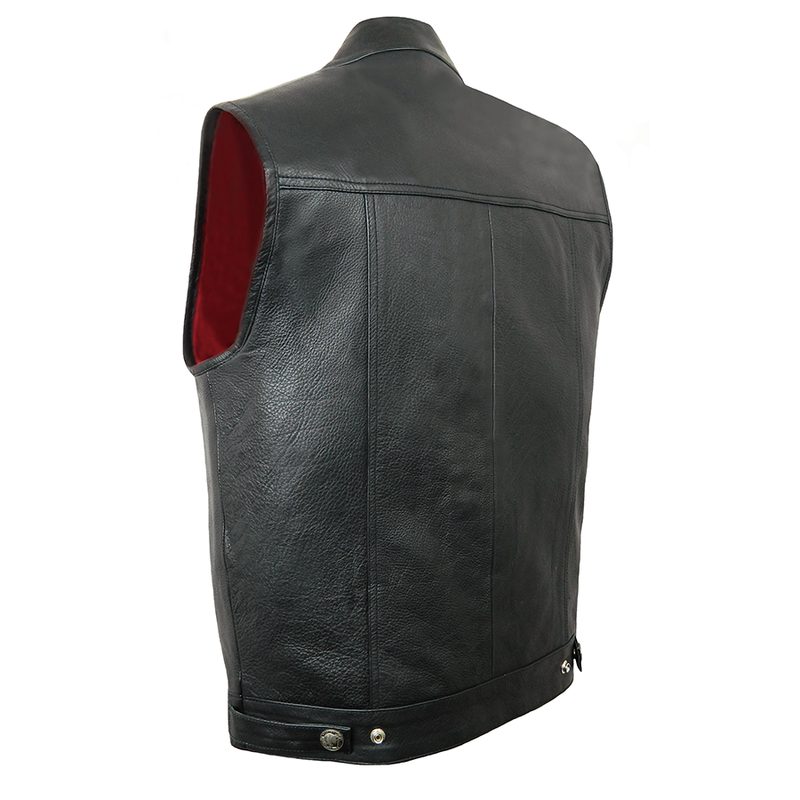 Heavy duty, high quality, black cowhide leather vest with a luxury red cotton lining. 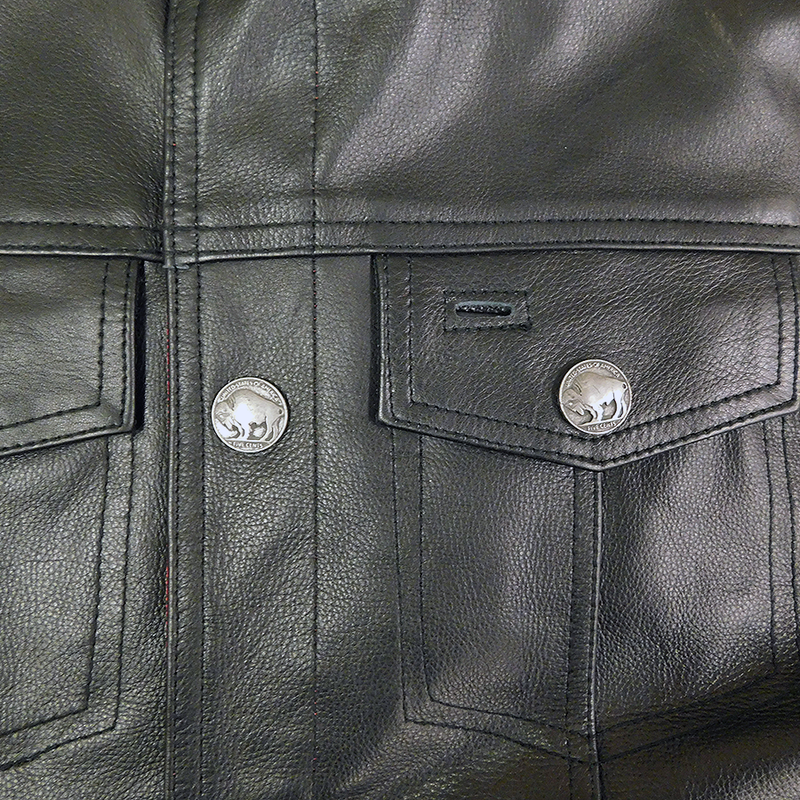 Statement Bison press stud fastening. Four outside pockets - two press studded. This is a superior leather waistcoat by Bikers Paradise, you won't find better quality anywhere else.